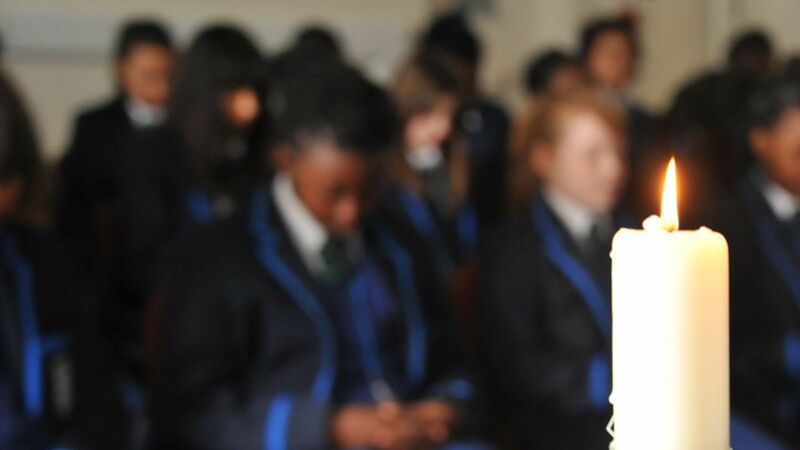 The Ursuline Academy Ilford provides a learning environment that is challenging and supportive. The curriculum is designed to offer both breadth and depth. It enables the girls to leave the academy fully equipped for further study, work or a combination of both. All girls joining the academy in Year 7 have the opportunity to study Religious Education, English, Mathematics, Science, Computing; Languages: French and Spanish and with the option to choose a language of their choice in Year 8, Latin is also being offered for the more able linguists; Technology: Food Technology, Graphics and Resistant Materials; Humanities: History and Geography; Performing Arts: Drama, Music and Art; Physical Education and Personal Development (PSHE). Citizenship is delivered through Religious Education and PSHE. All girls in Years 7, 8 and 9 are taught in mixed ability groups with the exception of Mathematics, which is taught in ability groups from Year 7. Apart from Mathematics, all the other subjects are taught in either tutor groups or smaller mixed ability groups of 24 students. During Year 9, girls are taught GCSE Mathematics and Science as part of a three years course. These two subjects are taught in ability groups. In Year 9 the girls are guided into choice of subjects for their GCSE courses. At present, all the girls studied the core subjects at Key Stage 4; English Language, English Literature, Mathematics, Physical Education, PSHE, Religious Education and Science (Core and Additional or the three separate sciences- Biology, Chemistry & Physics). The girls also choose three other subjects from the options of Art, Computing, Drama, Food Technology, French, Geography, Graphic Products, History, Information and Communications Technology, Music, GCSE Physical Education and Spanish. Many of our girls will then seek to progress to the next level of studies within our Sixth Form. There are currently 17 Advanced Level courses, please note these are subject to change, availability and demand. Alongside these courses the students extend their learning through Religious Education, PSHE, Fitness and a variety of Enrichment Activities. The AS/A2 courses are Art, Biology, Business Studies, Chemistry, Economics, English Literature, French, Further Mathematics, Geography, Government and Politics, History, Mathematics, Philosophy and Ethics, Physics, Psychology, Sociology and Spanish. Currently Year 12 and Year 13 students have 11 periods of teaching per two-week for each A Level subject. The Ursuline Academy operates a one week timetable cycle of 30 x 50 minute lessons for Key Stages 3 & 4. The Ursuline Academy operates a two week timetable cycle of 60 x 50 minute lessons for Key Stage 5.